Ancestors at Postwick, Norfolk. Illegitimacy and suicide. But as for Elizabeth Wilkinson's origins, I couldn't find her baptism online. 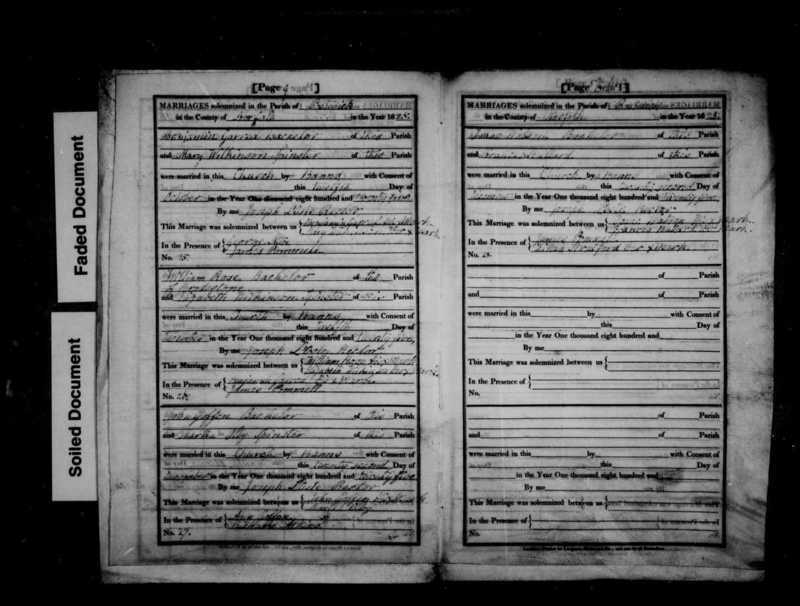 However, between Ancestry.co.uk, Findmypast.co.uk and FreeReg.org.uk, I did discover that there was a Sarah Wilkinson living in Postwick, that had four daughters baptised there (illegitimate) between 1806 and 1816. Census records suggested that Elizabeth would have been born at Postwick, around 1803. I hadn't seen a lot of Wilkinsons in the area, so I dared to make the assumption, that she was an earlier daughter of Sarah Wilkinson. Naughty I know, but I just felt it so likely. But then when challenged for the source, I felt that embarrasment of taking a short cut. The problem with Online Genealogy is that it's easy to assume that all records are there. They are not, not even for Norfolk, that has a good online presence in parish records and transcripts. So it was time to get off the computer, and take a look. I did this yesterday. First two stops were at Postwick and Bradeston churches, to take the photographs for this post, and to get the feeling for them. I was pleased that the marriage recorded that William Rose was of Bradeston, because my William Rose was of Brundall. 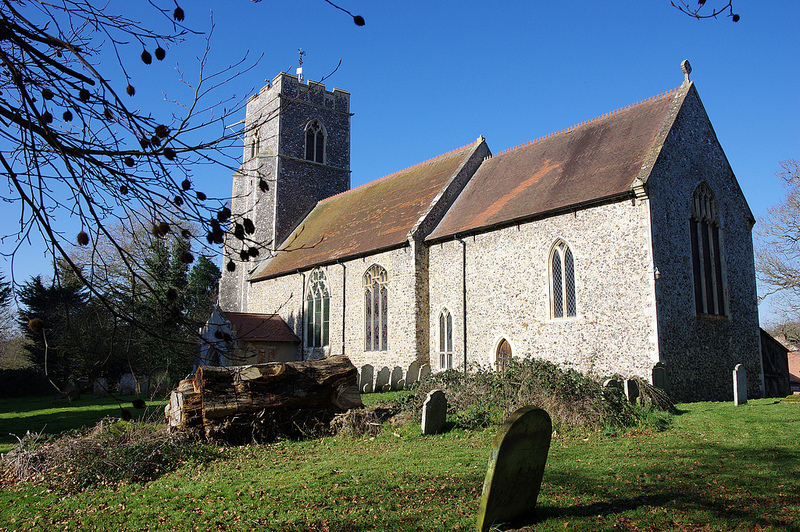 It's only a half of a mile from Bradeston, indeed, it has been absorbed as a deserted parish, into Brundall. It supported that I had the correct William & Elizabeth Rose, the recorded parents of my 3rd great grandfather Robert Rose, who was baptised at Lingwood in 1829. There she was, and I was correct, she was an earlier daughter of Sarah Wilkinson. Not only that, but further along the roll revealed another two daughters of Sarah. In all, she had six daughters born at Postwick, between 1803 and 1816, all illegitimately. I've seen a single parent family like this before, but on my father's side in Swanton Morley, Mid Norfolk. The full story we will probably never know, and it would be wrong to judge. Very often poor young women suffered from terrible brutality. Sometimes, this may have matured into a level of independence. She may have even had partners, or a long term lover. We don't know. Illegitimacy was far from rare in 19th Century Norfolk amongst the rural poor. But when you see a family like this, you do wonder, at the hardship that the family most likely went through. Yes, it appears that the mother, Sarah Wilkinson herself was born nearby at Great Plumstead, illegitimate. While I was looking through the roll of microfilm for Postwick Parish Registers, I spotted more names from my tree. Children being baptised of a William Key and his wife Sarah (née Wymer). William and Sarah Key were again, 4th great grandparents of mine. Actually, I descend from both the earlier mentioned Rose's, and the Wymers twice over - but further back on their lines. A lot of people in early 19th Century Norfolk were distant or even close cousins. I'm afraid that it was true, at least for the rural poor. I'm descended on my mother's side from a Henry & Mary Rose (née Gorll), and a Jacob & Elizabeth Wymer (née Moll), both couples at least twice over. Pedigree folding appears on that side of my tree, in the record. I mentioned his story in an earlier post. His body was fished out of the River Wensum in 1803. The inquest gave a verdict of insanity and suicide. On the way home, I wondered about what happened to those younger children. My 3rd great grandfather, William Key (II) was in his mid twenties, and on his second marriage, after his first wife passed away. But what about his younger siblings, such as Abraham Key - born in 1779, he would have been only six years old when his father drowned. He survived and went on to have sons in London. I love baptism fonts. You can touch them, and now that your ancestors passed by them, centuries ago. Perfect touchstones for time travellers. My 4th great grandfather, William Key, was baptised here on 27th Aug 1778. 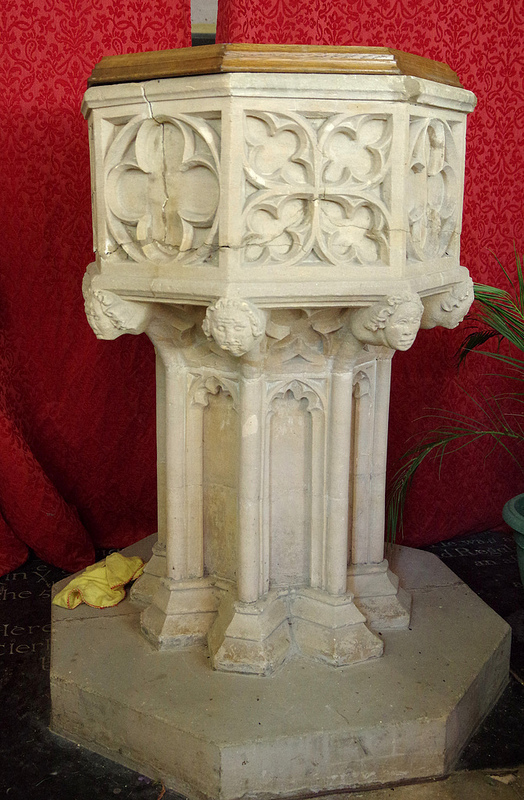 My 4th great grandmother, Elizabeth Wilkinson, was baptised here on 19th February 1803. I photographed it, and touched the stone in thought of them, on 15th February 2019. I'm on a fresh family tree run. Well, actually, this one I'm sort of restoring, after once trimming the branch out. I found them a while ago, but then noticed that one baptism would have made the proposed mother around sixteen. It can happen, but I don't see such young motherhood very often in my tree, so I cut a branch off. When in doubt - cut it out. Isn't she lovely? Getting back to the subject, a fresh look at the Moll Family using online genealogy, and I saw my mistake. That early Moll baptism belonged to another mother / wife of the father, from an earlier marriage. It all fit after all. I descend from them through my maternal grandmother, born Ivy Tovell. Let's start this time from the top, as far back as I can safely get on this line at the moment. 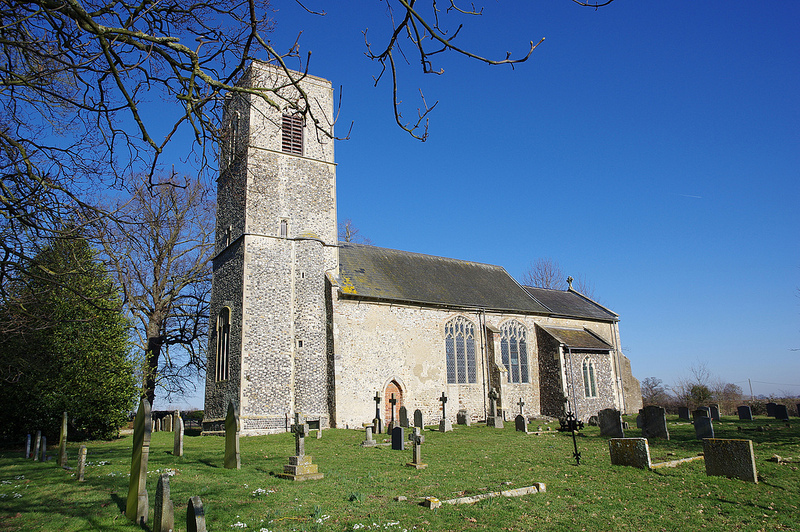 My 7th great grandfather Abraham Moll lived in the Norfolk parish of Ranworth. Where was he born? He couldn't have been the Abraham born at Hoveton, Norfolk in 1719. He'd be too young. He could have been the Abraham Moll born at Edingthorpe, Norfolk, in 1696. Just the right age. However, that's about 20 miles away. Did people move that far back then? Sure. My Thacker family line for example, shifted around East Anglia. But most in my experience did not. Therefore I like more evidence before accepting an origin just like that. When you go back much earlier than 1780, that extra quality evidence rapidly evaporates for the masses. That is where many, many, online genealogists go wrong. Particularly if they don't live locally, they just go for the nearest with the same name, and about the right date. If I had done that, maybe I'd now be back to Charlemagne like they usually are. But I wouldn't believe the pedigree. They shouldn't either. 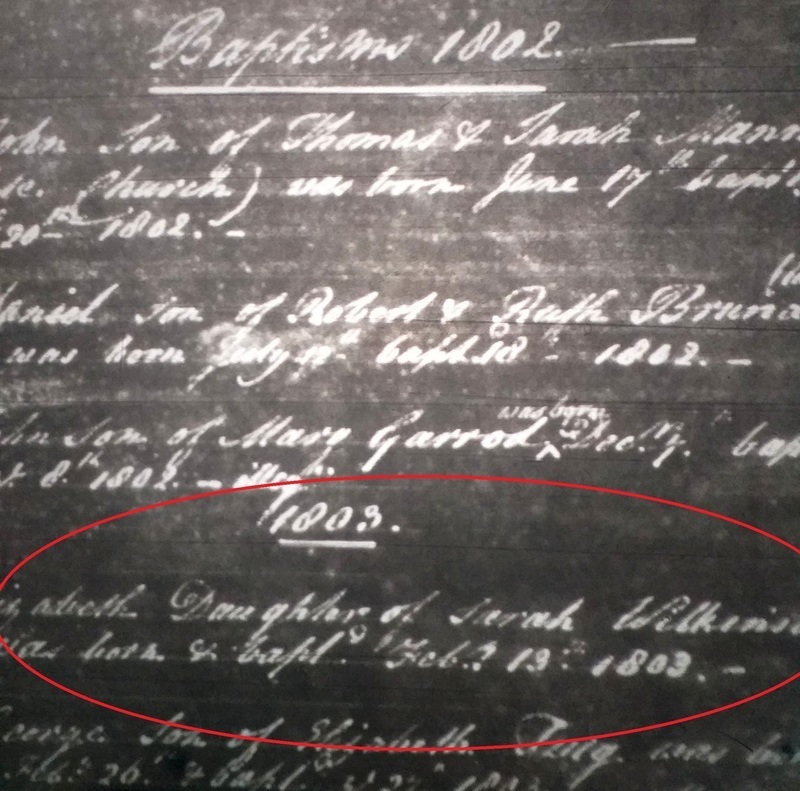 and she was to give birth to my 5th great grandmother Elizabeth Moll at South Walsham in 1763. I don't know when Rebecca died, but widower Solomon married a second time in 1805, to a widow named Elizabeth Ebbage. He must have been about 74 years old. Good on him. Maybe it was love. Companionship at least. 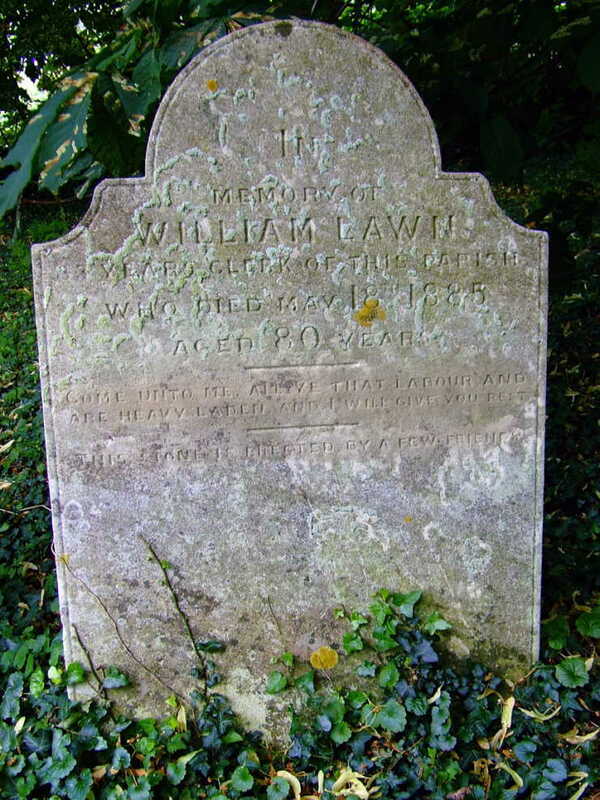 His daughter Elizabeth Moll married widower, Jacob Wymer at nearby Moulton St Mary in 1785. 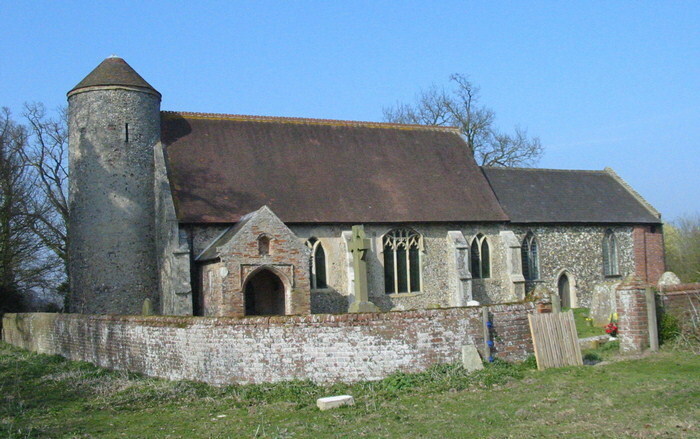 Moulton St Mary. One of my favourite local rural churches. The walls, exposed by conservation work are covered with medieval murals. My 4th great grandmother Mary Wymer was born at Moulton, Norfolk in 1789. She married a local farm worker named William Springall at nearby Halvergate (on the edge of the marshes) in 1811. They had at least seven children at Halvergate between then and 1834. One of them was my 3rd great grandmother Elizabeth Springall. She married local lad William Lawn over the marshes at Great Yarmouth, Norfolk during 1831. 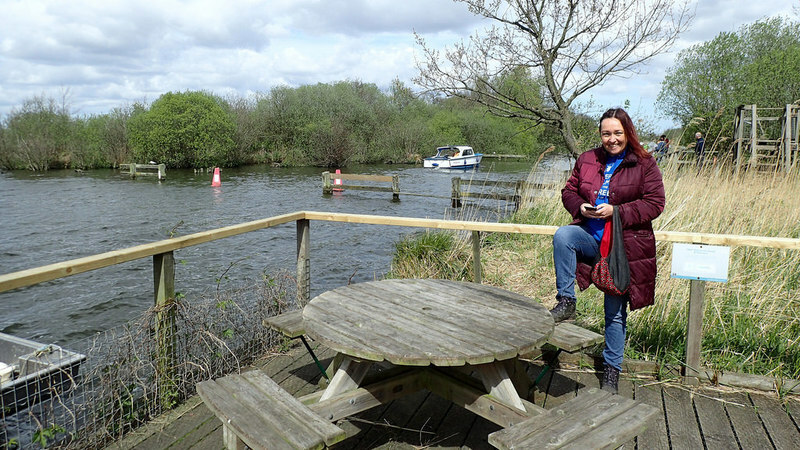 They settled at Tunstall, next to the marshes close to Halvergate. William was interesting. 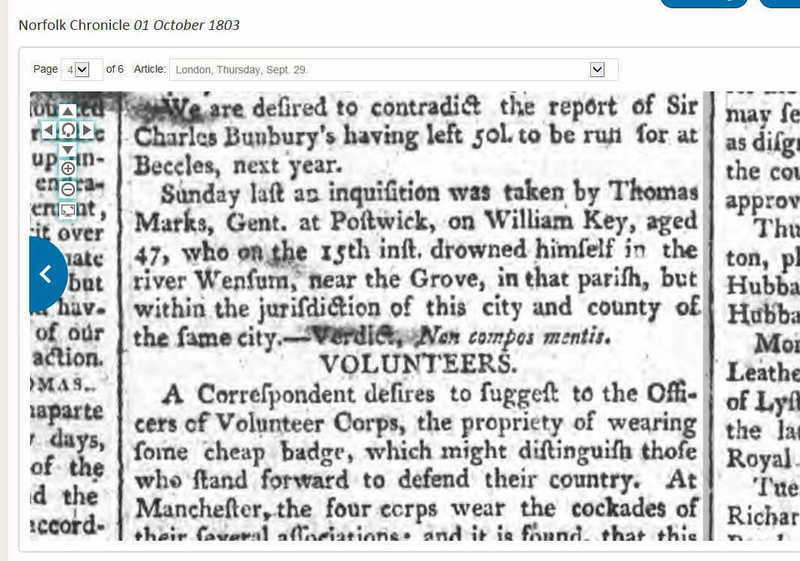 Although a marshman and labourer, he served as the parish clerk at Tunstall for 33 years. Their daughter, my great great grandmother, Eliza Lawn, was born at Tunstall in 1849. She married George Tammas-Tovell at Tunstall in 1866. An interview with one of my late great aunts recalled that as an old lady, she'd sit long periods in front of a mirror, brushing her long grey hair. 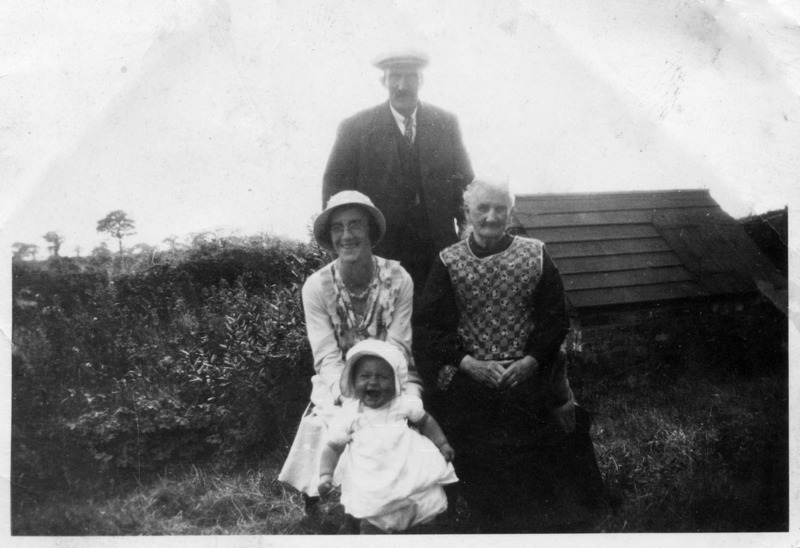 In the above photo, she poses with her son, grandaughter, and great grandaughter, my mother's sister. Probably taken at Halvergate or Reedham. My Ancestry tree currently contains the records of 2,924 family members. Including 328 direct ancestors for myself and my siblings. 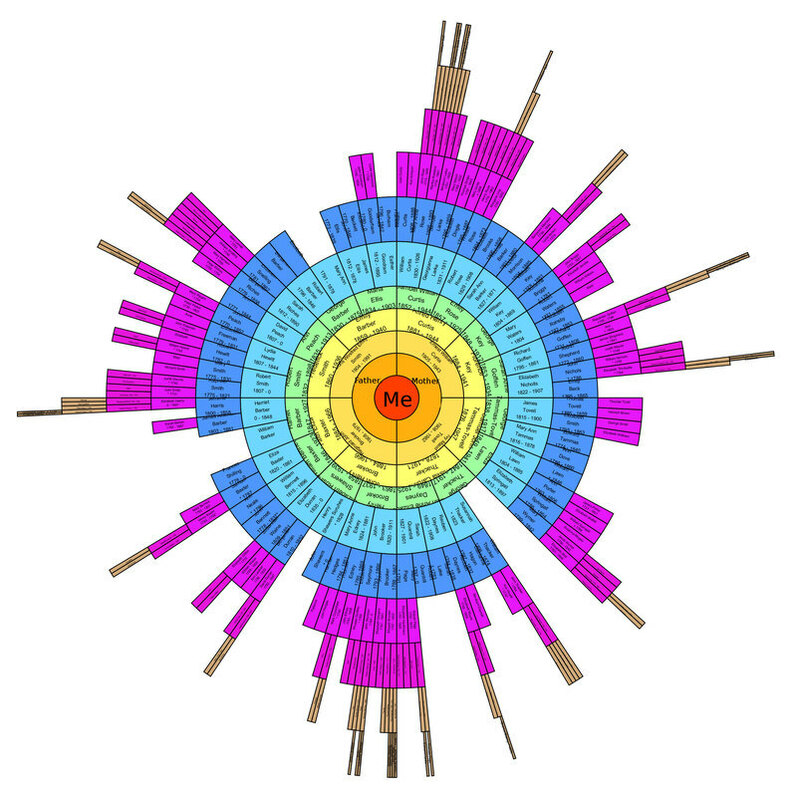 I have 156 direct ancestors recorded for my father. I have 170 direct ancestors recorded for my mother. I have 490 direct ancestors recorded for my children.